Hunt Companies is a leading national real estate services company headquartered in El Paso, Texas. 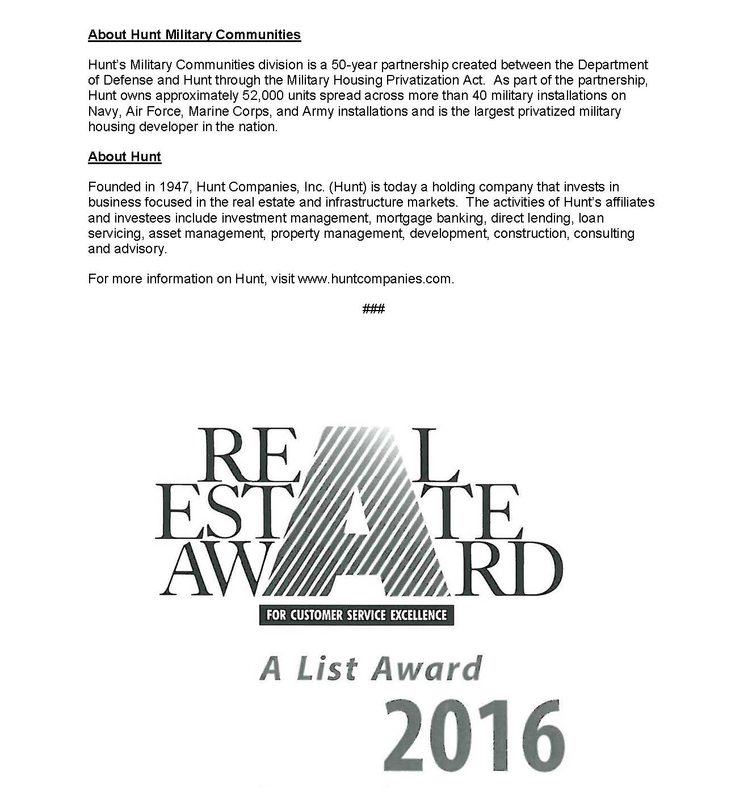 Deeply focused in its core areas of public private partnership, military housing, community development, real asset investment management and multifamily housing, Hunt is dedicated to building values through development, investment and management. Founded in 1947, Hunt is firmly rooted in a legacy of leadership, integrity, and trust. For over 40 years, the company has focused on quality of design, construction, and development of military housing for the various branches of the United States military across the continental U.S., Hawaii and Alaska. 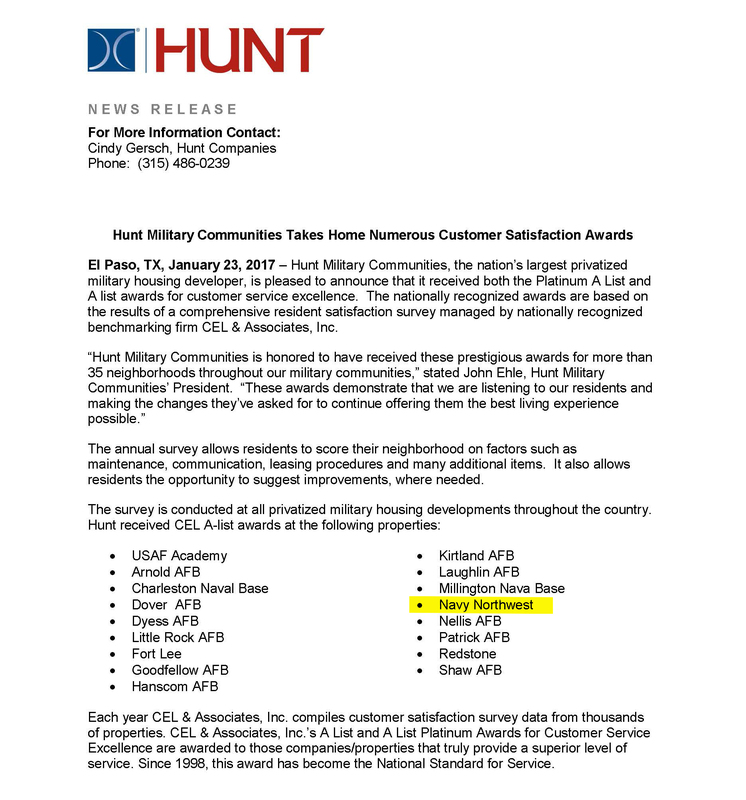 With over 36,000 housing units spread across 30 projects and more than 1,200 employees nationwide Hunt prides itself on providing our Service Members and their families with the high-quality residential living experience they expect and deserve. Visit www.huntcompanies.com to learn more about Hunt, its heritage and commitment to values that build.